Volunteers are needed for HCCC Craft Community Day. They will set up one table with samples of work done by members of ClayHouston. You can also set up a demonstration and/or have an interactive hands on activity to engage the visitors. We will provide ClayHouston’s banner and provide promotional brochures. Because this is an education experience, we ask that no sales take place during the event. 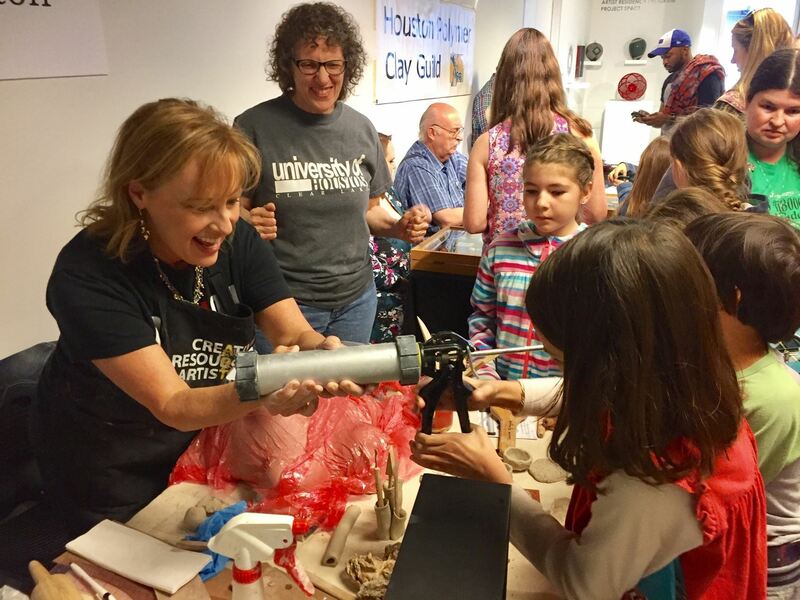 ClayHouston members will set up on Saturday, March 2nd from 9:30 am -10:00 am and will have a representative at our booth at all times during the event on March 2nd (10 am-3 pm).